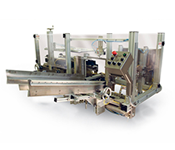 Hamrick Manufacturing is a leading manufacturer in end-of-line packaging equipment – specializing in case packers & tray packers. 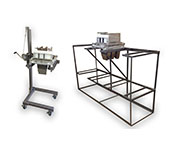 Hamrick also builds a line of case erectors, case sealers, & uncasers to help our customers find solutions for almost any application. 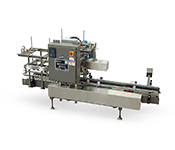 Since 1975, it’s been our mission to provide quality Made in USA packaging machinery at an affordable price, and stand behind it with the best service & support team in the industry. 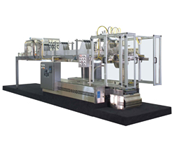 Contact us today and see why so many companies have chosen Hamrick to assist their packaging needs! 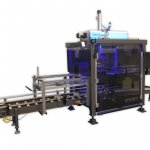 This is a video of our NEW Unlimited Series CP20 Pick & Place case packer. 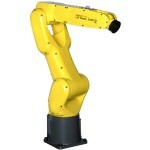 Models range from 20-30 cycles per minute, based on the application. This is a great option for fragile product to pack at higher speeds. For more information Contact Us, Request a Quote or Call Us Today at (330)-628-4877. 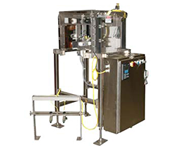 After 40 years, Hamrick Manufacturing continues to be a respected leader in the packaging industry. 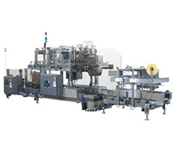 Our experience in design, innovation, and integration of customized machinery has enabled us to place over 3,000 pieces of equipment throughout the world. 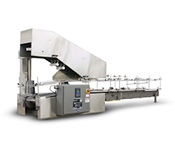 While most of our business has come from the United States, we’ve also built equipment for companies in Central and South America, Canada, and many locations internationally.